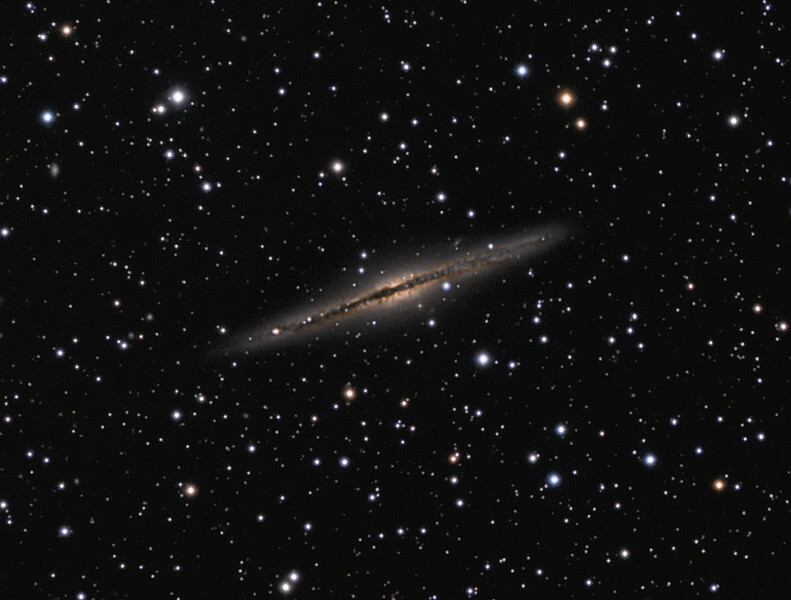 Edge-on spiral galaxy NGC891 some 30 million light-years from earth. Taken Nov 8, 2010 by Lynn Hilborn, WhistleStop Obs, Grafton, Ontario. TEC 140 @f7 (980mm) and FLI ML8300 camera. LRGB L 7x20m 1x1, RGB each 9x5m 2x2.